We thought Triplanes disappeared after World War One. 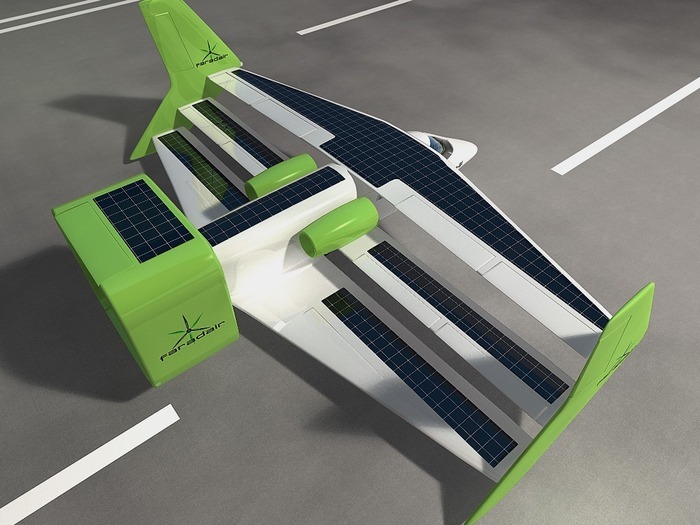 But a new startup aims to bring them back in a new hybrid electric aircraft, powered by biofuel. 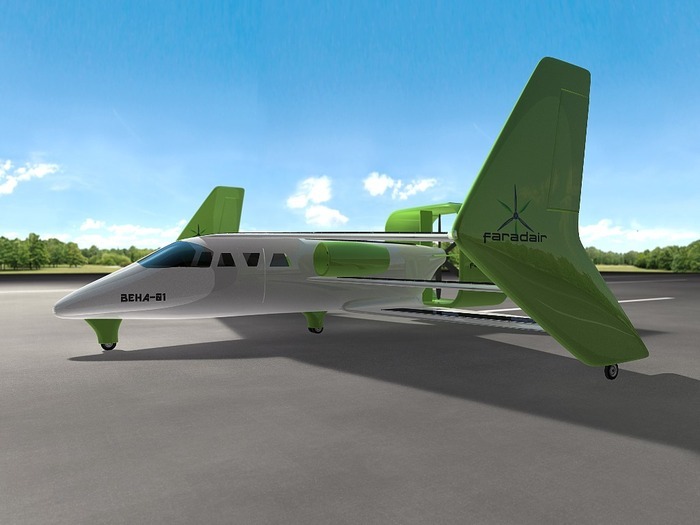 FaradAir is now raising money on Kickstarter to achieve its initial funding goals for its plane. The Bio-Electric-Hybrid-Aircraft or BEHA for short, aims to be the world’s first ‘Hybrid’ eco-friendly aircraft, but won’t take to the skies until 2020. The Anglo/US venture involving several technology partners, including the renowned aviation engineering university at Cranfield, UK. Neil Cloughley, Managing Director says the near-silent aircraft negates night flight restrictions and pollution concerns. The key difference with the BEHA is its size. Most electric planes have huge, long glider-like wings which restricts where they can operate from, but by employing a tri-plane format, the BEHA can land on a normal airfield. Solar panel skins feature on all flight surfaces, and a wind-turbine will create battery-charging capability for both in-flight and when on the ground. However, the price comes in steep: $1m US Dollars per aircraft.